Marantz and Denon, two of the most distinguished brands in the home cinema receiver space, have announced that they’ll be the first to market with support for Apple’s AirPlay 2 audio standard. Both companies (linked under the Sound United umbrella company) will be giving their latest networked receivers an update this August that will let them take advantage of Apple’s latest audio casting technology. As well as the update coming to brand new receivers, 2017 and 2018’s existing line of networked receivers from Denon and Marantz will also make the jump to AirPlay 2 thanks to an over the air update. AirPlay 2 lets users quickly cast music from their iOS and Mac devices to wireless connected speakers around the home, control them with Siri voice commands as well as grouping selections of devices together for multi-room audio. The announcement was made at Sound United’s annual European Dealers Conference in Alicante, Spain, where the 2018/2019 AirPlay 2 line-up for both Marantz and Denon’s receivers were revealed. Denon will also be bringing AirPlay 2 to its 800 series hi-fi stereos, its HomeCinema HS2 soundbar and the CEOL 10 networked mini stereo system. 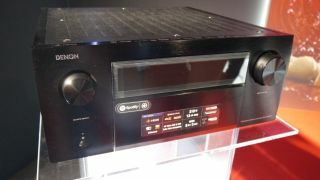 The full Denon line-up getting AirPlay 2 support is as follows: AVR-X1500H, AVR-X2500H, AVR-X3500H, AVR-X4500H, AVC-X6500H, AVC-X8500H, DNP-800NE, DCD-800NE, PMA-800NE, CEOL N10 and the HEOS HomeCinema HS2. Marantz will be offering AirPlay 2 on the NR1609, SR5013, SR6013, SR7013, SR8012, AV7705 ,AV8805 and NA6006. For those not interested in making use of Apple’s audio option, both companies’ receivers also offer Bluetooth support and networked streaming thanks to HEOS streaming.